Bring some cool style to any outfit. 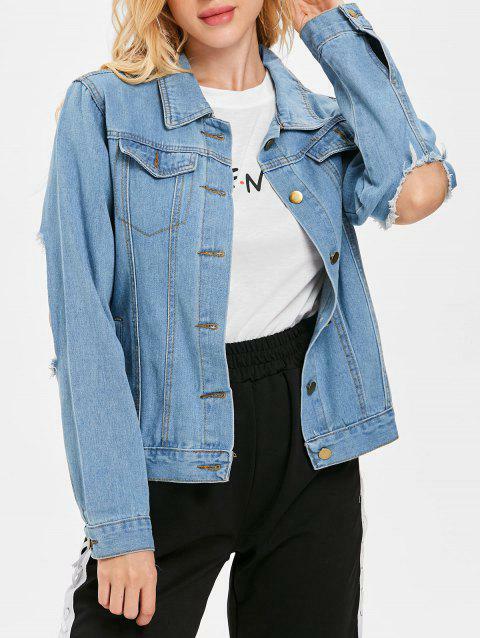 This light-wash jean jacket adds popular elements with its cut-out sleeve design at the elbow, two breast pockets, and distressed design. Whether you add this jacket to jeans and a tee, you'll be feeling confident and looking even better.